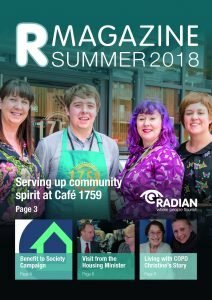 R Magazine is our residents’ magazine. 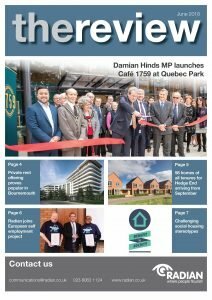 It features residents’ stories, local news items and information that you may find useful, including money news and updates which may affect you or your tenancy. If you have an interesting story to send in you’ll receive a £20 shopping voucher if it is printed. 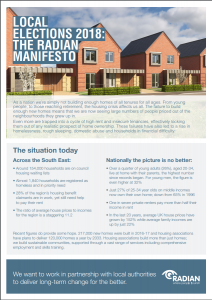 ‘the review’ is the newsletter for our stakeholders; it’s a chance to tell you a little bit more about who we are and the work we do as a housing association and housebuilder. 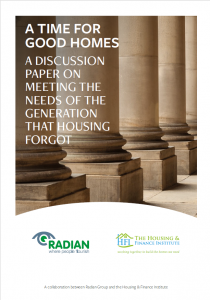 A major new report from the Housing & Finance Institute and Radian reveals that the huge expansion in private renting over the last 15 years has severely harmed family and financial stability. 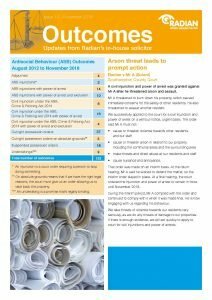 Outcomes brings you updates about Anti-Social Behaviour (ASB) cases across Radian. Our in-house solicitor provides a detailed account of these cases and what the Outcomes were. Here at Radian, we take ASB cases very seriously. If you would like advice on what to do if you are experiencing anti-social behaviour, visit our Community Safety & ASB section for details. We published our manifesto for candidates ahead of the local elections in May. The manifesto had four key asks that we asked candidates to support.